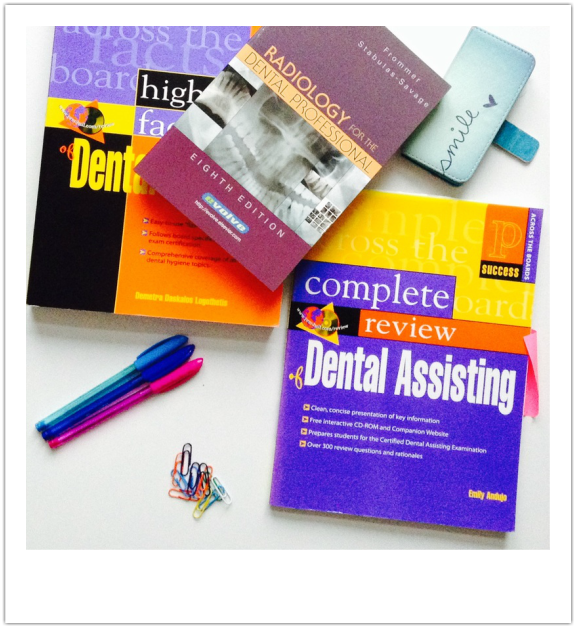 Welcome to the Dentalelle Student Program - for those newly enrolled students! Join Dentalelle and get FULL access until you successfully pass the dental hygiene program :). -Access to Andrea anytime via email for any exam, test, or classroom questions :). Imagine having someone on your side throughout your entire dental hygiene program? Someone who will listen, someone you can turn to for help and someone to tutor you on every topic in your course curriculum! Andrea can do just that :). With 12 years experience tutoring dental hygiene and assisting students, she loves what she does! Consider her your private tutor and mentor. Late night emails, pep talks, calming anxious students before an exam, answering questions from new graduates and those getting into the dental hygiene program..she's done it all. ​Andrea currently works a few days a week as a clinical dental hygienist and restorative hygienist. She focuses on her tutoring primarily and continues to work in order to provide her students with real, and up-to-date dental office experience. With a 99.3% success rate helping students pass the exam, she can help YOU! Both in your classroom studies and board exam preparation. Join now and not later! The sooner you join, the greater the rewards :). Remember, you have full access to everything until you successfully pass your program and take the board exam! That means you have full access to our tutoring sessions 1-2x a month, discount on individual tutoring (if needed), mock exams on all topics, case studies, full curriculum power point materials for extra studying, previous sessions all recorded for viewing anytime..and so much more! Questions? Feel free to email Andrea directly here.